As a little girl, I would always take the comics out of the Sunday paper to read. Every week, I would make sure to read Peanuts. I enjoyed reading about Charlie Brown and his dog Snoopy. I, of course, would have to watch the movies as well. I have passed on my Peanuts traditions to my sons. We watch the Peanuts movies whenever they air on TV. We enjoy watching the movies as a family. Naturally, we are excited about the new movie, The Peanuts Movie that came out in theaters November 6, 2015. To celebrate the new movie and to get the kids excited, I made them Charlie Brown Chicken Nuggets. Why chicken nuggets? It is my sons’ favorite food. They especially love the Tyson Chicken Nuggets. I love getting them at Sam’s Club. We can get a HUGE bag of nuggets for a great price. Believe me, we go through the nuggets in this house. 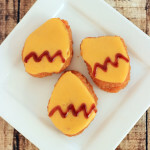 The Charlie Brown Chicken Nuggets are easy to make. You only need Tyson Chicken Nuggets, American Cheese slices, and BBQ sauce. You can easily make as many of these Charlie Brown Chicken Nuggets that you need. Would be a great idea if you plan on having a Peanuts Party to celebrate the new movie! 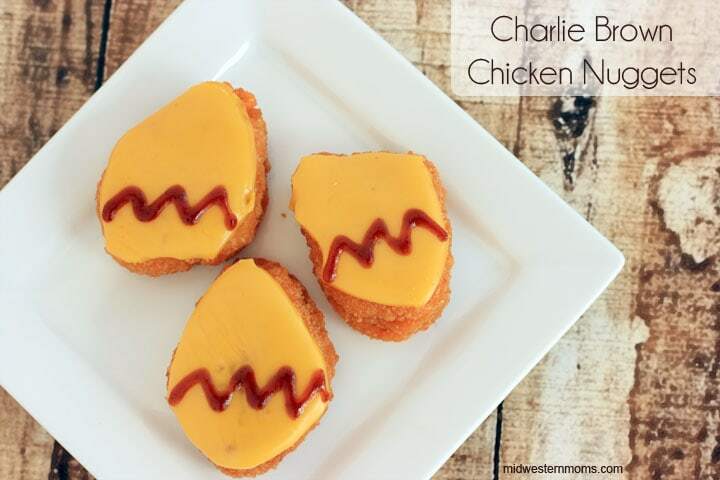 Fun Charlie Brown Chicken Nuggets. Perfect for watching the new Peanuts Movie! Cook the Tyson Chicken Nuggets according to the instructions. Allow the Chicken Nuggets to cool before handling. Cut the American Cheese to fit the top of the chicken nuggets. Lay the cheese on top of the chicken nuggets and return to the oven or microwave to allow the cheese to melt. Remove the cheese covered chicken nuggets. 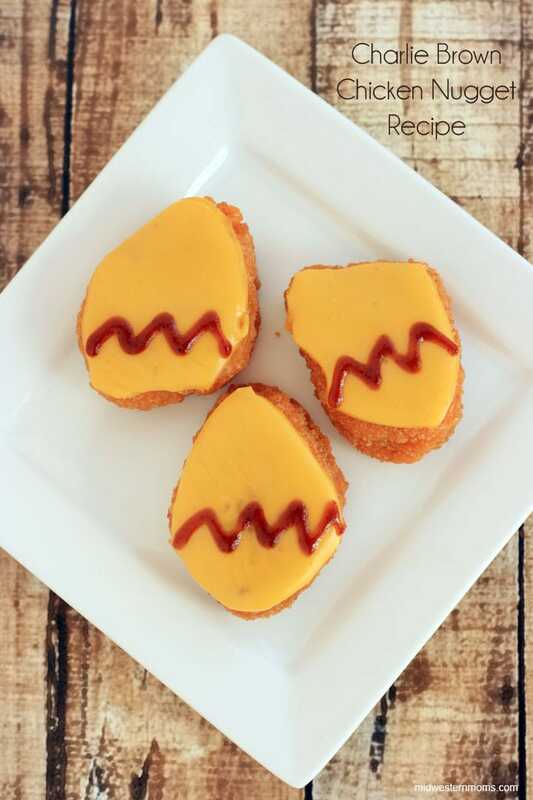 With your BBQ sauce, make a zig-zag on the chicken nuggets to resemble Charlie Brown’s shirt. If you BBQ sauce does not have a squirt top, put your sauce in a zip lock bag and snip a small hole in a corner. Then apply the zig zag on the chicken nuggets. Have you seen the trailer for The Peanuts Movie? How are you gearing up for the new Peanuts Movie? I feel like I’ve seen something like this before. Did this idea come from an episode of Honey Boo-Boo? No. I do not watch Honey Boo-Boo.